Deryck Murray, who read economics and history at Cambridge, said in an interview in 1975: "Everyone had the mistaken idea that all West Indians could sing calypso. In fact we've got about half a dozen players that can, and then you get the likes of me who have to mime all the words." One of the talented singers in the group was allrounder Bernard Julien, who used to hum on his way back to his run-up. During a commercial shoot for Brut 33 in Adelaide - where the team had to cancel a practice session and spend three hours in the recording studio - Julien led the team's singing, harmonising with reserve keeper David Murray while the others backed them up. Clive Lloyd wasn't a huge calypso or reggae fan. "... A bit of soul, a bit of hard rock and a bit of jazz for me," he said. "To say that I appreciate Johnny Mathis probably sums it up completely." He said he preferred "mood music" like, Mathis, Diana Ross, Nat King Cole, Frank Sinatra and Bryan Adams. Andy Roberts preferred to listen to music on his tape deck in his hotel room while his more outgoing team-mates, Julien included, went out dancing. 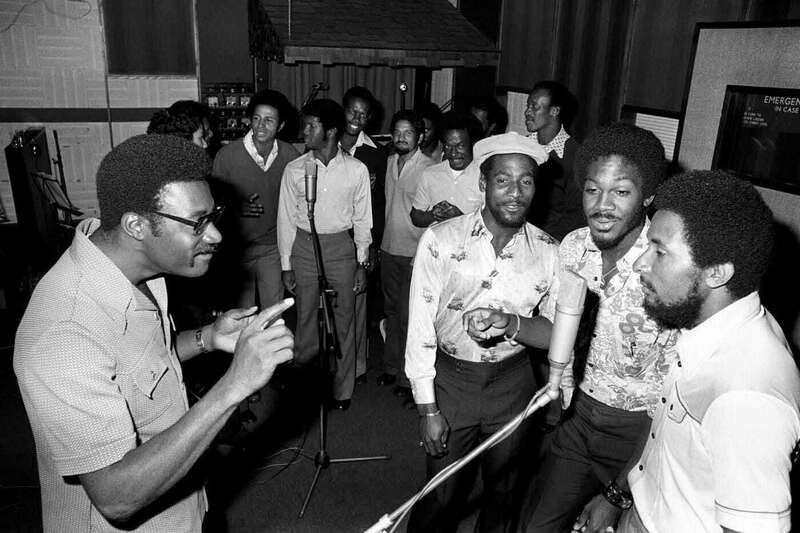 Roberts and Viv Richards feature on calypso musician Super L's 1987 award-winning song "Good Citizens". Viv Richards has been the subject of plenty of Caribbean songs and poems - Short Shirt's "Vivian Richards", Maestro's "World Cup" (songs), Ian McDonald's "Massa Day Done" and Howard Fergus' "Conquest"- and in 2015 he took to singing and songwriting himself, partnering with INXS drummer Jon Farriss to release a single called "Smokin Joe". "I'm a man to catch, I'm a batsman, I'm out here to play, this is nice, let's go," Viv growls. "... I got the swagger, let the party begin." Vanburn Holder, overshadowed by Roberts and Michael Holding on this tour, was picked in the Packer-depleted team in 1977-78, and found himself featuring in a calypso. In "Kerry Packer", Mighty Sparrow sings in the voice of board president Jeffrey Stollmeyer: "We doh need Andy Roberts, Croft and Garner / When we have Super Star Vanburn Holder / The selectors obey me like children / That is why they didn't pick Bernard Julien."